A federal audit of the Justice Department’s use of unmanned aerial systems shows that more than half a million dollars has been spent on a drone program that was quickly canned after barely getting off the ground. The United States Bureau of Alcohol, Tobacco, Firearms and Explosives (ATF) spent roughly $600,000 to acquire half-a-dozen rotary-wing drones between 2011 and 2012, according to the results of a probereleased this week, but never flew the aircraft operationally. After acquiring the six unmanned vehicles to use in surveillance operations, the internal group overseeing the ATF’s budding drone program determined in June 2014 that the aircraft “were unsuitable for operational use,” according to the report, and transferred them at no cost to the Naval Criminal Investigative Service. Revelations concerning the ATF’s failed drone experiment are among the findings contained in the 22-page audit of the US Department of Justice’s use and support of unmanned aircraft systems released by the DoJ’s Office of the Inspector General on Wednesday. The DoJ heeded seven of the eight recommendations made when the last official review of its drone program was released a year and a half earlier, the new report reveals, but the authors of the latest audit say they were nevertheless “troubled” to learn that ATF spent hundreds of thousands of dollars on drones that the agency ultimately decided it didn’t need. Supposed “mechanical and technical problems” rendered the aircraft unsuitable for the agency’s intended purposes, according to the report. 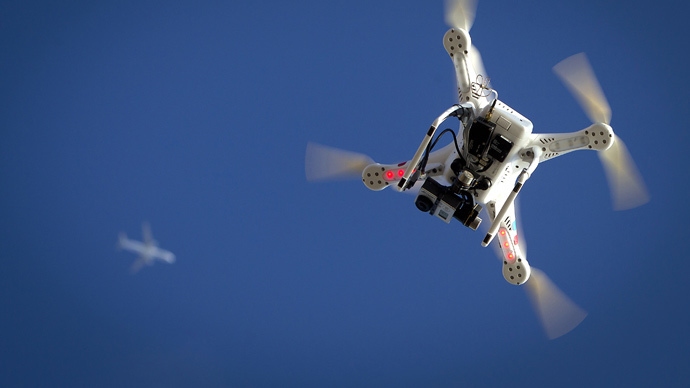 Previously, the August 2013 audit from the Inspector General’s Office determined that the ATF had planned to use unmanned systems to support their investigations. As of August 2014, however, the Federal Bureau of Investigation (FBI) remains the only DoJ entity running its own drone program, according to the report. The FBI relied on camera-equipped drones to conduct aerial surveillance during 13 separate missions between January 2010 and Aug 2014, according to the audit, including search-and-rescue operations, kidnappings, manhunts, matters of national security, and anti-drug trafficking interdictions. 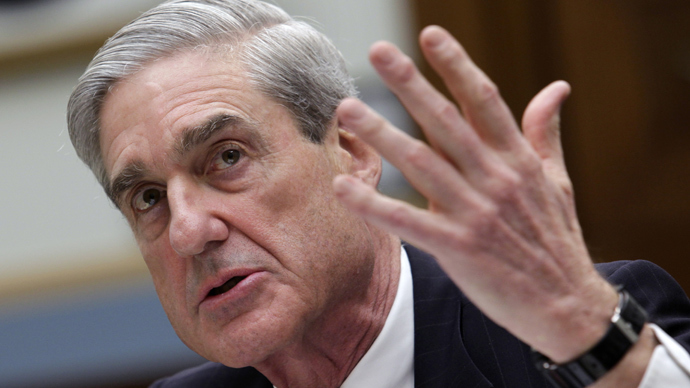 Robert Mueller, then the bureau’s director, first admitted that the FBI’s use of drones during a June 2013 congressional hearing, and said they had been deployed “very seldom” – a claim confirmed with the release of this week’s report. Yet while the authors of the latest audit acknowledge that the FBI has indeed used drones during life-or-death situations, the report indicates that the bureau’s efforts so far have been restricted due to geographical restraints that have limited the aircraft’s deployment. The FBI had spent approximately $3 million as of 2013 to acquire small drones, and as of last August the DoJ had identified a total of 34 unmanned aircraft in its arsenal. Nevertheless, that fleet has been maintained from a single location, according to the report, where a team composed of only two pilots is tasked with managing the drones. “This approach differs from the decentralized deployment approach that FBI officials told us they employ for the FBI’s manned aircraft,” the audit acknowledges. 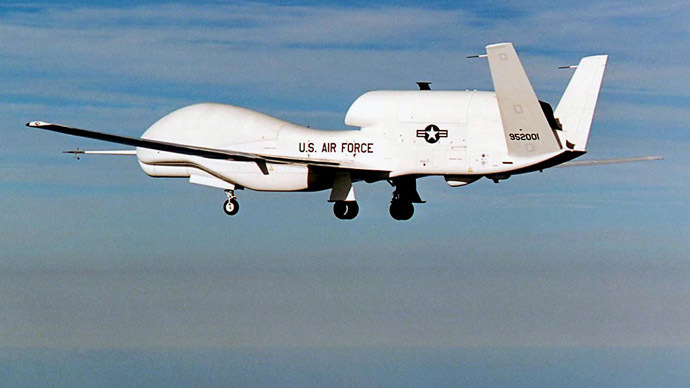 It also, according to the report, has made it so that a team of pilots might need another day or longer to travel from the bureau’s drone base to a field office in order to deploy a drone. The Inspector General’s report does not provide specific examples of when the FBI has used surveillance drones, but says they were deployed “exclusively to provide targeted aerial surveillance in the context of specific ongoing investigations” operated in accordance with guidelines set forth by the Federal Aviation Administration. Current rules require that DoJ components obtain a Certificate of Waiver or Authorization, or COA, from the FAA before conducting drone operations in a given location. “Life-threatening” situations allow for emergency COAs to be issued, “by demonstrating that an imminent threat to life or safety exists and that manned aircraft are unavailable or unsuitable for the particular circumstance,” the report acknowledges, but the review revealed that instances have occurred where obtaining even an emergency permit has taken up to three days. The review proposes that the DoJ establish a framework that would allow for quicker response. Elsewhere, the report reveals that the US Department of Homeland Security’s fleet of drones has been requested by the DoJ no fewer than 95 times between 2010 and 2013 for Justice Dept-related missions, including those assisting the FBI, ATF and other components. 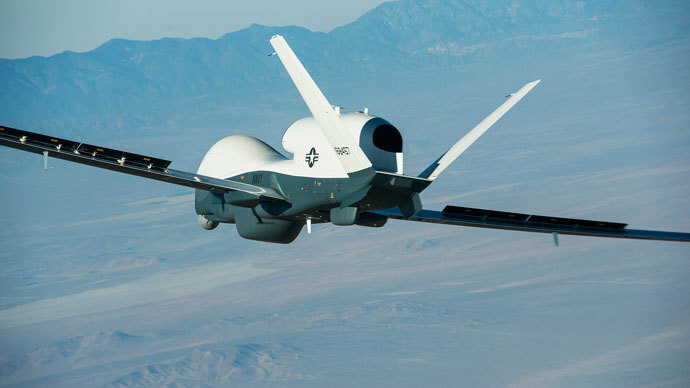 Earlier this year, however, the Inspector General of the DHS concluded in its own report that the drone program operated by its Customs and Border Protection had more or less proven to be ineffective.